Does your dog wear a Rockin Pet Collar or Harness? PetHangout thinks you should up your dog's game with amazing collars that will make them stand out from the rest! Long gone is the day of the drab and ugly dog collar and harness. If you are taking your dog for a walk or a day outing, you will want to be sure to have him or her looking their best in one of our Best Dog Collars. And if your dog is a "puller" as if you are the one being walked, you should consider buying a harness for your dog. Harnesses are great for brideling your pet without causing them pain. 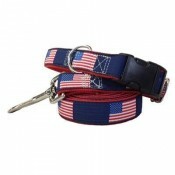 We have matching harnesses & collars or feel free to mix and match! There is something for every taste and budget here at PetHangout. Make your dog a Cool Dog today! Looking for something we do not carry? Send us a message and let us know. We will do cartwheels to find your item! Bow Tie Collars - For the dog that likes the finer things in life, dress them up for a night out on the town with these adorable collars. If you are looking to get a little attention while walking your dog, you have got to go with either this whale themed bow tie collar or the patterned blue chevron. 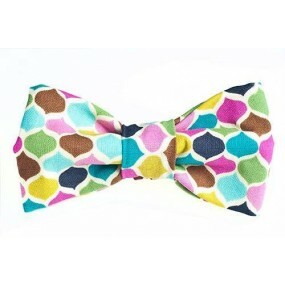 Along with added some fun to your life, these collars make your little guy or gal look absolutely pooch perfect. Collars & Leashes - You may be dizzy after looking through our huge selection of collars and leashes. We have searched high and low to provide the highest quality and best selection of patterns and materials. Your dog's collar and leash becomes a signal that it is time to go out and play. We know they would be so excited to wear this hot pink crosgrain collection or this race track themed collection. We think your pet may even walk a little taller and prouder with one of our beautiful and functional collections. 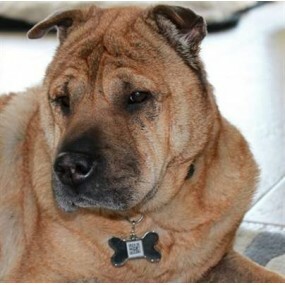 ID Tags - We cannot say enough about the important of id tags for your pet. You love your pet and never want to lose them, but there could be times when the two of you become seperated. Help someone reconnect you with your pet by making sure your doggie always wears a tag with great information on it. Recommendations: DO NOT put your dog's name - this helps bad people lure your dog for bad motives. DO put your phone number (and multiples - family, close friends). DO indicate if your pet is microchipped. If you run out of room, you can always hang multiple tags on their collar! As an alternative solution to regular ID tags, you can purchase a BarkCode ID tag which is coded on the back. You update your pet's profile online and the finder can pull it up and get all of the vital information for making contact with you! Our favorite tags are the big heart on pink, alter ego, and medical alert.